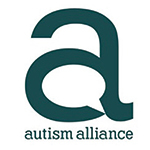 Founded in the early 1970’s in the Merseyside area, Autism Initiatives remains a parent-led organisation. Autism Initiatives’ Mission is to meet the needs of people with autism, their families and carers by providing a range of services which are personal, professional and innovative. We have a real understanding of the need for the positive impact of involving service users and stakeholders in the delivery and development of their own service. Every person with autism is unique and the impact of their autism on their everyday lives is also unique, this understanding informs our person centred specialist approaches. We recognise and understand the strengths and skills people with autism possess in many areas and utilise these strengths to support them, so that our service users can experience success and gain ownership of their own service. Our innovative work and approaches has allowed us to expand our services beyond Merseyside. We provide services across England, Isle of Man, Scotland, Wales, Northern Ireland and Ireland. Today we provide direct support to over 3,000 autistic people and over 1,000 families. We are proud of our work and continue to strive to deliver excellent and appropriate services using our unique 5-star framework to focus on the strengths of the people we work with.